Where did those six weeks go? Arriving in Hong Kong remained a blur. I met my grandparents and stayed for three full days only before making my way to Taiwan. In Kenting, I saw Cheer Chen live. I also went to Spring Scream, and biked like I never biked in my whole life (12km one-way to the music venue, sometimes in total darkness, on the side of the sea). In Taichung, I got lost, but eventually found my empty hostel. I was creeped out, because it was empty, in the middle of nowhere, and felt like some sort of spirit of a tormented assassinated backpacker was to pop out at any moment. Then, I was in Taipei for two days, visiting more night markets, and hung out at a student cafe, and took pictures with the giant sitting Chiang Kai-shek. Back in Hong Kong, I hung out. 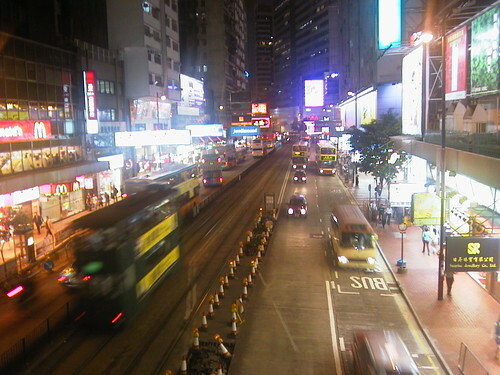 I took a bus to Kowloon and got lost, walked for two hours and a half in a part of Kowloon that I did not know. 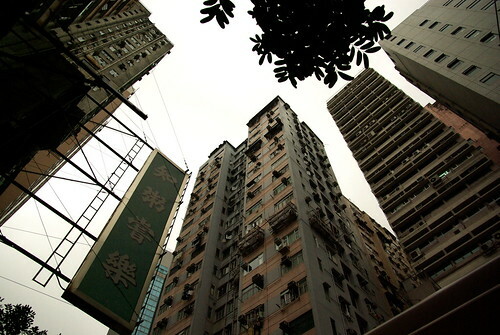 I went on an artistic storytelling tour of Hong Kong, to Mount Davis, and then South Bay Beach. Then, I went to Beijing... I did see Tian'anmen, and some of the Olympic venues. I went to a rock show at D-22. I met an architect who showed me a habitation complex being built. I went to party with a distant relative learning Chinese in town, and then watched live hockey on the internet. I met my friend's friends living in Beijing, drank with them. My friend surprised me by staying one in Beijing w/o telling me in advance. I bumped into young overseas Chinese entrepreneurs who opened a cafe/design shop on a new commercial street. I saw a Mongolian music performance. I played role-playing games. I visited universities, and took pictures with my Canadiens shirt in front of Peking University. Then, back in Hong Kong, I saw marches... Bumped into a Labour Day march on Hennessy, and the day after, I was at the torch relay in Wan Chai. Then, the day after, some high school students in various uniforms appeared in Causeway Bay, as I was doing shopping, parading perhaps for their school end thing. Then, I went to Kaiping in China, by boat, to visit those diaolou, and ate fresh chicken. I came back by Shenzhen, where I visited relatives' factories. I met with one of my blogging world heroes in Hong Kong, and shopped at UniQlo. And finally, after a 14-hour trip back to North America, a 6-hour wait in Newark, and 1.5-hour flight, I will be home! Taken on the A11 bus to Chek Lap Kok HK International Airport. I will be back in Montreal this Saturday night! Taken in Beijing, on the last night. 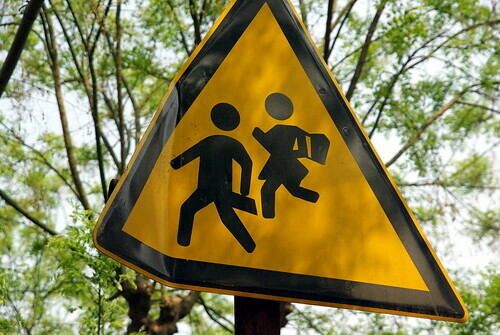 Seen near Peking University, in Beijing. 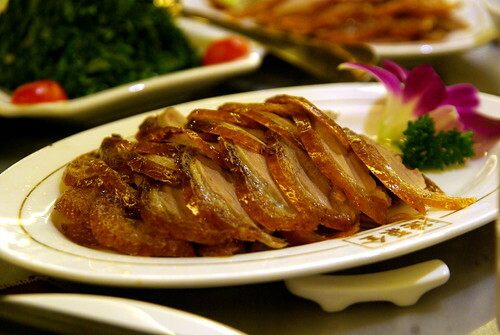 A chain restaurant operating throughout China and also Overseas, but based in Beijing, Quanjude (全聚德) is probably one of the most places to go for Peking Duck. Continue reading Peking Duck at Quanjude 全聚德. I've been doing well, and consequently in lack of time to sit down in front of my computer to post the many many things that come across my mind. Most of it will surely have to wait until I come back to Montreal. After a Friday night at the punk/rock bar D-22, Saturday on an expat bar/club adventure, and Sunday morning watching the Habs lose and then crawling my way to home under the rain, on Monday, I did role-playing for the first time (something called Warhammer), and then on Tuesday, I went out to Ho Hai with a Canadian-Chinese learning Chinese in Beijing (and later meeting randomly a new friend - realizing how expat world is so so small, even in BJ) and was invited over by one of my good friends in Montreal's Beijing friends (see photo above). On that same morning, we saw the Habs eliminate the Bruins in the last chapter of a thrilling 7-game series. On Wednesday, I was treated to Peking Duck by a Montreal friend's friend, before hanging out at Tsinghua University, and then heading home to stay in, finally. Radio Centre-Ville interviews Cedric in Taipei and Beijing! 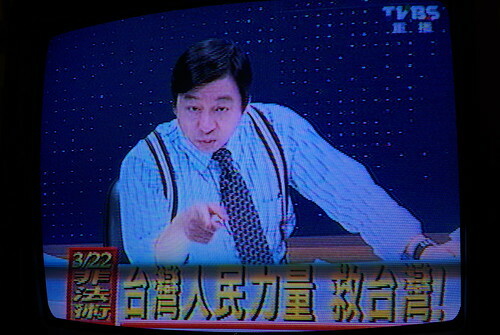 Listen to the Cantonese language show of last week, and this week! I was a guest on the show, with a little difficulty last week (had to run down to the nearby 7-11 to refill phone while they were airing), but it was a little better this week, I think. 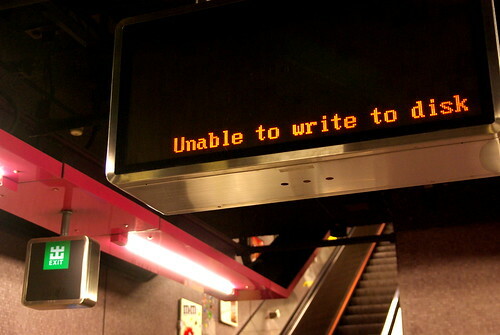 Thank you, MTR. This pretty much summarizes the situation. No time whatsoever to write about what's going on. Now, also, I broke te letter h on my laptop keyboard. I am back in Hong Kong, after a week in Taiwan. 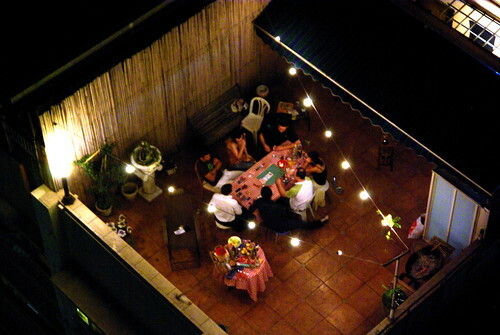 Yesterday night, at my grandparents' rented flat, I saw over the window, a bunch of foreigners playing poker on the rooftop of another lower building adjacent to ours, but on Morrisson Hill Rd. I listened more closely, and, while not able to make out what they were saying, am pretty sure that they were speaking French! It was a Thursday night of a not-long weekend, so we assume that they are tourists, or business travelers on a day off. They were blasting noisy party music too, and if you look closely at the pic, the guy with a white shirt on the right has a full house (not really, though). 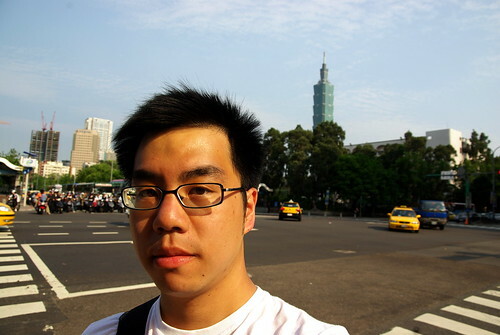 Obligatory pic with Taipei 101 in the background. It helps to have a wide-angle camera. Continue reading Introspecting in Taipei. 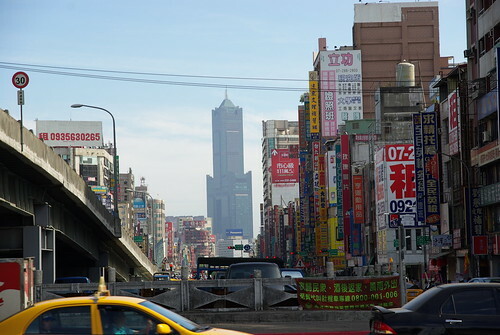 I travelled from the southern tip of Taiwan all the way up to Taichung today. Spring Scream and Kenting were a lot of fun, and I am now back in the city. Bande à part published the article (in French) that I wrote for them on Spring Scream Double Rat. I took a van/taxi, was dropped off at Kaohsiung's Main Station, and took their newly opened metro to the Zuoying high-speed train station. I am currently in Taichung, in a hostel located in a suburb in the hills. I arrived in Kenting yesterday night. All the potential worries, about tickets that I ordered on the web, transportation, have been solved relatively easily. I should write a post about it later, so that it may benefit English-speakers... Frankly, I am amazed that my very very poor Mandarin is sort of enough in order not to starve. Later today, I will bike to Spring Scream in Eluanbi later today, and catch the Deserts Chang and Faith Yang gigs. I interviewed Duggar, the owner of the hostel where I stayed at. See Comme les Chinois later this week. 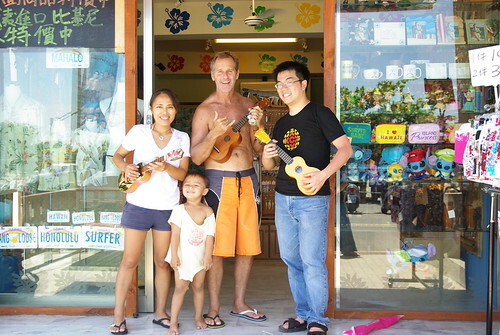 He's this cool American from Hawaii, crazy about Hawaii (see their website) who has been in Kenting for around fifteen years, working in the hotel industry. This vacation is like work. But fun work, at least. 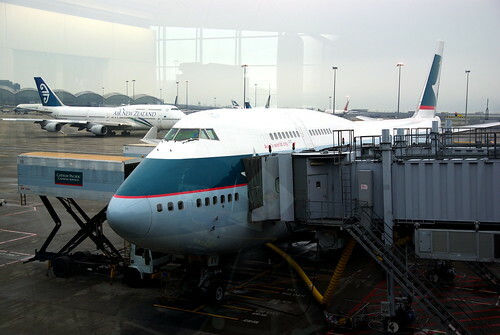 I am in Hong Kong International Airport. 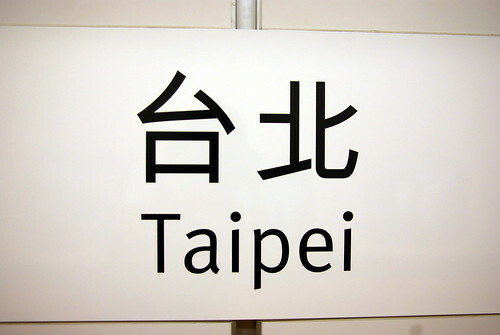 Will be in Taoyuan International Airport, outside of Taipei, Taiwan, in five minutes! In Hong Kong at last! Yes, I am! 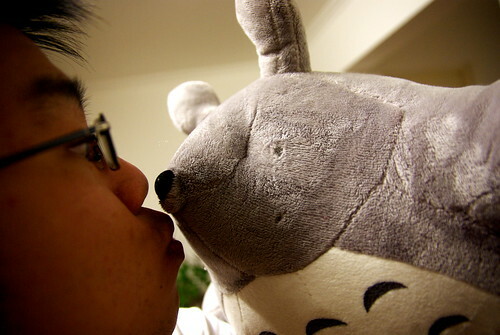 I started posting stuff on Comme les Chinois, and spent too much time on the Internet. I'm going for a walk. Need to purchase various consumer electronics. Why is everything so overpriced in HK wrt when bought on the Internet? 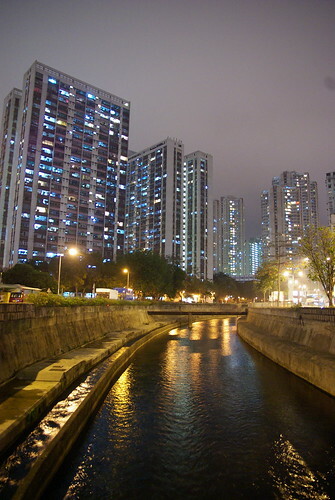 Were my relatives right about radical improvement of the economic climate in Hong Kong? I am at Starbucks in Causeway Bay. Lack of space in HK also means lack of space at restaurants, cafes, etc. So, it's like Schwartz's, but everywhere! For instance, a group of prehaps-HKU students (their readings are in English) just surrounded me. 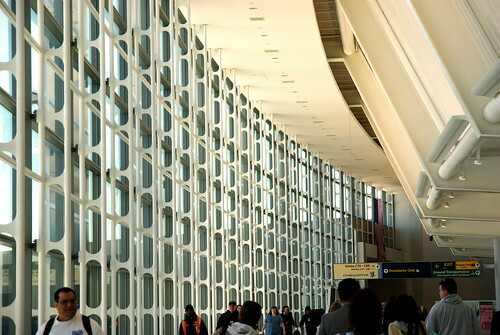 I'm currently in New Jersey, at the Newark International Airport. I just flew in from Montreal on a Air Canada Jazz flight, and landed about two hours ago. 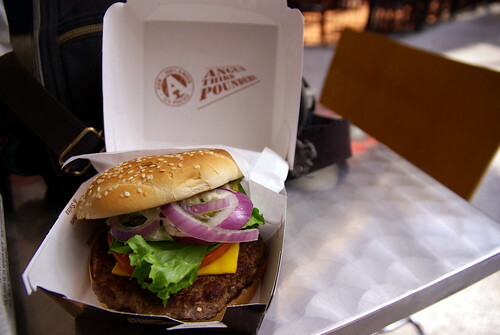 After very slowly making my way from Terminal A to Terminal C via the Sky Train, I arrived at the food court and ordered myself a McDonald's hamburger that I believe can only be found in the States. I am now sitting near gate 98, for my flight to Hong Kong (CO 99), a 15-hour odyssey across the planet, going along the sun. In Eastern Daylight Time, this means that I will arrive at around 7AM. But in Hong Kong Time, it would be Sunday night at 7PM. So far, so good. I am a little tired from not sleeping too much yesterday night. I had a midnight snack that included some of the cheeses from the previous entry. 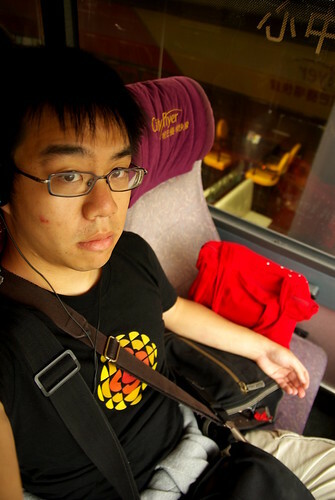 Nervous to be back in Hong Kong, since my 2005 trip. Seems to be so many things to do, people to meet. The expectation: to fully "live" today's China? Probably unachievable, I think. 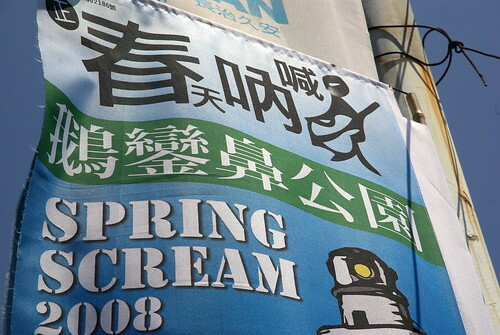 In English, there may be only a single "Spring Scream", but in Chinese, there are at least two festivals whose sites I've found. There is the so-called "original" one, founded fifteen years ago by an American expat duo, Jimi and Wade. Theirs is a lot bigger act compared with any other, as described in this preview that I wrote last month. 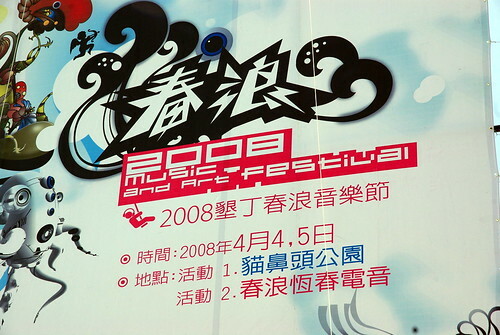 The other festival, however, holds the big local pop names, such as Tanya Chua, Sodagreen and Cheer Chen. I am very tempted to at least attend the Cheer Chen evening, just because all this Spring Scream deal started from seeing her last year performance at the _other_ Spring Scream on YouTube. Spring Scream, whichever I end up going to, starts in less than two weeks now. I have booked a place in Da Wan, Kenting, called the Hawaii Inn, manned by a Duggar fellow and his little family of three. More on the serious blog, once I get all my infos together. Spring Scream likens to a mass migration thing to me. Finally, I booked the Taipei-Kaohsiung train fairly easily. However, the two-hour bus ride from KH to Kenting might be another deal. I read somewhere that 300,000 people were expected at last year's event(s). If this is not the number of tickets/day sold, then how the hell will I find a bus to drive me there. Hitchhike all the way to Kenting? The schedule of the original Spring Scream mentions Stars as a band on the second day... Is it some random Taiwanese act or *the* Montreal-based Stars? Three weeks until Hong Kong! It's just three weeks away from my trip to Hong Kong/Taiwan/China! One of the goals this time is to explore, explore and explore, and write about it live, as it happens whenever that's possible. It is going to be a very exciting trip - beyond the initial days in HK and the week in Taiwan, I've been quite apathetic at organizing my trip... Suggestions, suggestions? I practically did not write in Smurfmatic, for the very good reason that I have been focusing my writing efforts on Comme les Chinois, my new blog on the Chinese experience in Montreal, and Canada in general. I would like to find collaborators for it, but I am not too sure where/how to find them, despite discovering this network of Montrealers interested in these topics in less than a year. CLC is doing well, but could use a little more controversial essays and the like. For the past month, I've been seriously planning a trip to Hong Kong, Taiwan and around China, basically. I got the approvals that I needed, and only have to get my plane ticket at this point. It will be my third time in Asia, after trips in 2002 and 2005. The first stop will be in Hong Kong, where I will be meeting with Chris and Laine. I have family in Hong Kong, so will also be seeing them, including my grandparents, who go back to Hong Kong from Montreal every year, and will happen to be there while I am there too. Then, it will be the great Taiwan splash! I am going to Spring Scream, perhaps the most notorious independent music festival in the Chinese-speaking world, founded obviously by two American expats. Four nights in the town of Nan Wan or Kenting. The remarkable thing about this area is that every single place to stay is absolutely overpriced! I found one really interesting surfer shop in Nan Wan, so far. Then, third week, back to Hong Kong, and I will be getting in touch with one of my cousins, grown up as a Montrealer, and who now works for a Canadian company in Shenzhen. 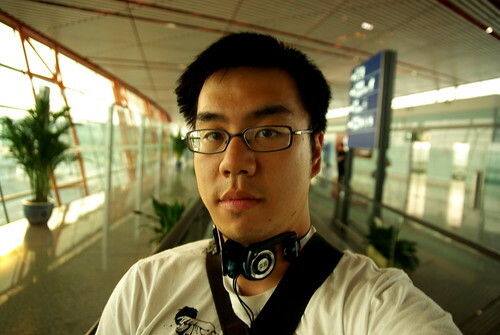 Then, I will travel north to either Beijing and Shanghai, optionally Chengdu. I'll be trying the Chinese railway system, which, from what I've heard, isn't so bad at all between major cities. I am looking forward to good music, good food in Beijing, the second city that my host Fiona (and Scott) will be showing me around to. 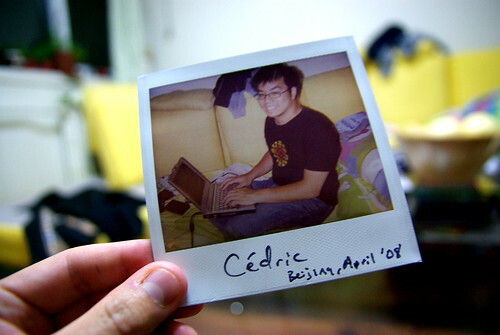 In the end, to make it very Cedric-esque, we should almost try to plan a party on the night that I come back, Saturday May 10th. 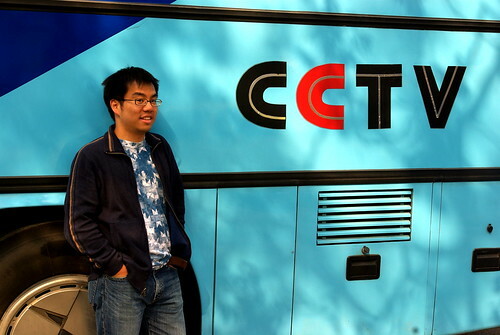 This page is a archive of recent entries in the China 2008 category. China is the previous category. Chinatown is the next category.